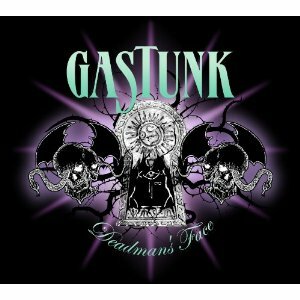 Gastunk were a very cool Japanese band from the 80s. I was very surprised when I got a copy of this from my friend in Japan and that the band had recorded new material. The CD begins with the 5 minute title track which really goes back to that pretty raw sound and they hit you straight up with some ripping guitar and in fact the guitar player is just shredding a lot on this track. Cold Blood slows things down a lot and is a more melodic track that reminds me a bit of the old Japanese band, Dead End. At least some of the track is sung in English and there is a ripping guitar solo section. No More Trouble is the last track and this has a reggae guitar riff and groove which totally took me by surprise but I really dig this track a lot. I wonder if they were listening to the new Flower Travelin' Band CD a lot?? Three tracks and three totally different styles of songs. Gastunk is back!